J. Robert Oppenheimer (1904 – 1967) was an American theoretical physicist, best known for his role as the scientific director of the Manhattan Project, the World War II effort to develop the first nuclear weapons, at the secret Los Alamos laboratory in New Mexico. He is often remembered as “the father of the atomic bomb”. 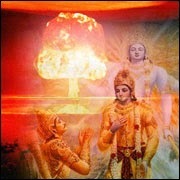 After witnessing the first successful nuclear explosion at the Trinity test site in Los Alamos New Mexico (which took place on 16 July, 1945) Oppenheimer remarked later that it brought to his mind words from the Bhagavad Gita: “Now I am become Death, the destroyer of worlds” (chapter 11, verse 32). Although Oppenheimer never converted to Hinduism nor did he ever refer to himself as a Hindu, Hindu philosophy did influence him greatly. He never prayed to Hindu deities nor went to a Mandir (Hindu temple). He was never a Hindu in a devotional sense, but he did take up Sanskrit lessons so he could better understand the Gita in its native tongue. 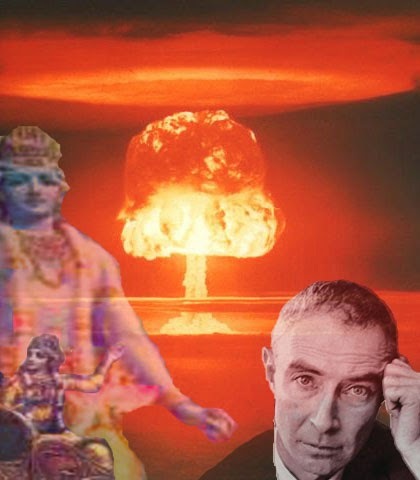 Oppenheimer, raised as a Jew, was deeply affected by Vedic philosophy. His brother said that Oppenheimer found the Bhagavad Gita “very easy and quite marvelous… and was really taken by the charm and the general wisdom of the Bhagavad Gita”. Oppenheimer also claimed that “access to the Vedas is the greatest privilege this century may claim over all previous centuries”. Remarkably he even once hinted at the possibility of weapons on par of the nuclear ones who was working on in previous eras, particularly those of the Ramayana and Mahabharata. 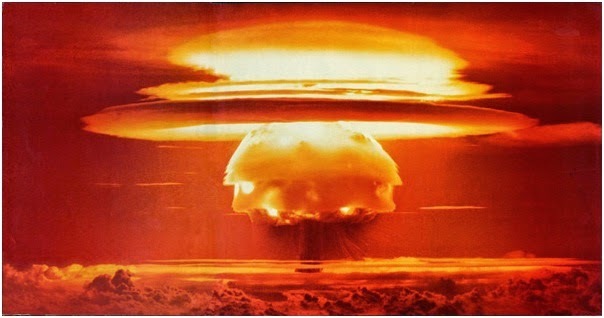 Student: "Was the bomb exploded at Alamogordo during the Manhattan Project the first one to be detonated?" Dr. Oppenheimer: “Well — yes. In modern times, of course." 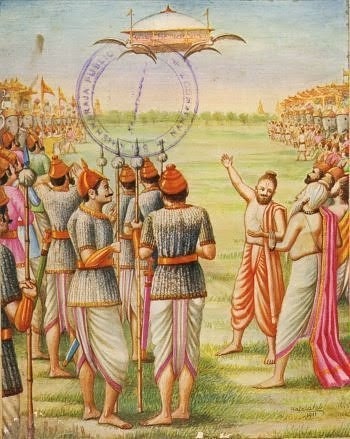 Some people suggest that Oppenheimer was referring to the brahmastra weapon mentioned in the Mahabharata. The appreciation didn’t stop there. So much so he always gave the book (Bhagavad Gita) as a present to his friends and kept a copy on the shelf closest to his desk. At Franklin Roosevelt’s funeral he read a passage from the Gita chapter 17 verse 3 “Man is a creature whose substance is faith, what his faith is, he is”. In 1963, the Christian Magazine asked him to list his 10 most influential books, he chose the Bhagavad Gita as one of them. However a question remains on how someone who said the devastation the bomb caused Japan represented the “inhumanity and evil of modern war” and believer in the Bhagavad-Gita (after all Gandhi also cited the Bhagavad Gita as instrumental in his peaceful non violent approach to life) managed to reconcile himself with the task of creating such a potentially world destroying instrument such as the atomic bomb and yet at the end of it and still believe it was the correct thing to do. He admitted himself that he had blood on his hands and the people behind it had “known sin”. But he still was adamant that he had done the right thing. He believed that the bomb would save more lives by stopping the carnage that was World War II in that the bomb would frighten other would be aggressors thereby, in theory, preventing many future conflicts. In 1996 in the Egyptian Museum in Cairo, Italian mineralogist Vincenzo de Michele spotted an unusual yellow-green gem in the middle of one of Tutankhamun's necklaces. The jewel was tested and found to be glass, but intriguingly it is older than the earliest Egyptian civilization. 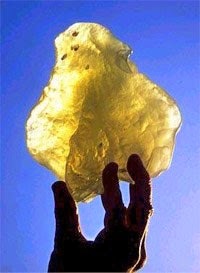 Geologists traced its origins to unexplained chunks of glass found scattered in the sand in a remote region of the Sahara Desert. But the glass is itself a scientific enigma. How did it get to be there and who or what made it? 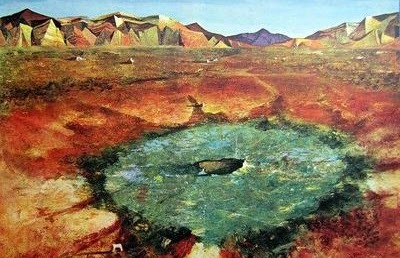 The biblical evidence of Sodom and Gomorrah does not fit well with nuclear weapons. The likely site of S&G has ash walls and houses, etc. with embedded unnaturally pure sulfur laced with magnesium, which would burn hot enough to turn rock to ash. However in the Bible it does say "as it was in the days of Noah, so shall it be at the coming of the Son of Man." Might this be talking not only spiritually but also technologically, thus indicating that the technology we have today is not unique to our time period?